Three young girls and one woman murdered at the beginning of this year for unknown reasons. The victims were killed each with different style. The authorities have stayed silent and are saying nothing about the four cases. According to the published reports, on July 9, the body of a 48-years old woman was discovered, slashed in the head by an axe in the victim’s home in the city of Marivan. Ismat Rezaie’s husband is considered as the prime suspect in the crime. Her husband denies all the charges against him and claims he was not even home and was at work at the time that the crime was committed. He has filed a lawsuit against the authority for wrongfully charging him. On the other hand, the body of a young female student was discovered in the female dormitory of the University of Mahabad, murder-suicide is highly suspected. 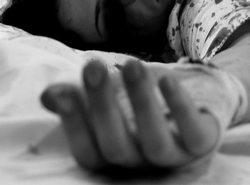 Following the recent high rates of suicide among young girls and women in Kurdistan, another three young females took their lives. They were from the cities of Piranshar, Bokan and Sardasht. According to the published reports, a 21 years old female, Gh. Shonasi, hanged herself with unknown motive in the city of Sardasht last week. 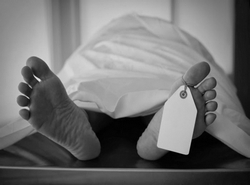 A 24 years old female, S.V., from the city of Piranshar ended her life. The internal family problem is suspected to be the prime motive behind the suicide. 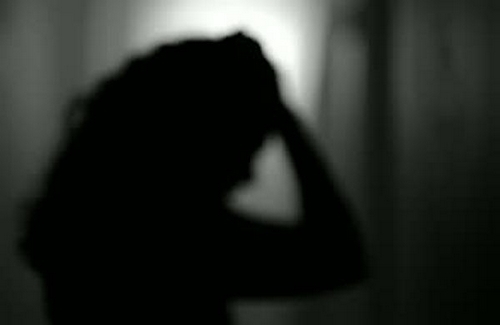 A young female, S.K., committed suicide by jumping off from the building where she lived. She is thought to have killed herself due to unsuccessful attempt to pass the pre-university examination in order to continue her education at a university level. According to Kurdpa’s collected data, this brings the numbers of young girls and women who ended their lives this year to 23. 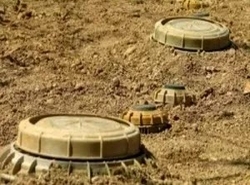 Land mines continue to claim casualties among the Kurds for close to two decades after the end of Iraq-Iran war. According to the published reports a 50 years old woman from the city of Saghiz was hit by a land mine and lost a part of her body. This bring the total number of casualties to 14 people this year, 9 of the victims have died. Kurdish prisoner health is deteriorating! Neda’s health is in an unstable stage now. Neda Mosaghimi is imprisoned in the notorious Evin Jail. Neda, a member of Mothers of Laleh Park and a political prisoner in Evin Prison, is suffering from a severe case of asthma. Her family is pleading the authorities to lessen her sentence due to her unfit health condition. This political activist is imprisoned because of her solidarity with the family members of the detained protestors during the uprising in 2009. Kurdish prisoner whereabouts is unclear! Nahid Gorji has been detained for 9 months and the authorities have not given out any information about her whereabouts and the charges against her. The family avoids any contacts with all types of media to not aggravate the authorities and therefore avoid making things worse for their daughter. Nahid was arrested on October 11 and was taken to a revolutionary court in Kowasangi from the suburb of Mashhad and was later relocated to an unknown location. Close family friends and those that know Nahid well say that she was only active on Social Media like Facebook and Viber and are not aware of political activities that she could have been part of. Kurdish political prisoner was released from jail after 2 years of captivity! According to the published reports, Maryam Shfighpoor, a university student, was released after spending 2 years in jail. Maryam was a member of Mehadi Kerobi’s election campaign team in Iranian presidential election in 1388. She was detained, interrogated and later released by the authorities in 1389 however she was later imprisoned again for 2 more years in Qazveen. She was consequently forbidden from attending school to continue her studies. Writing and Translation by Kurdpa Staff Writers and editing by Hazhir B.